ST. PETERSBURG, Fla. -- Minor League Baseball and Rawlings Sporting Goods Company, Inc., today announced Minor League Baseball's recipients of the 2016 Rawlings Gold Glove Award® for defensive excellence at their positions. The honorees were selected among qualifying players from the 10 domestic-based, full-season Minor Leagues. Each player will receive his own Rawlings Gold Glove Award, modeled after the iconic award given to Major League Baseball's top defensive players, during the 2017 season. "Congratulations to the nine outstanding Minor League Baseball players who deservedly won the 2016 Rawlings Gold Glove Award®," said Mike Thompson, executive vice president of marketing for St. Louis-based Rawlings. "Minor League Baseball is and will always continue to be a great partner of Rawlings, and we knew the Rawlings Gold Glove Award® would be a popular goal for many young players when we rekindled the Minor League award platform back in 2011." "These nine players were truly the finest in the field this summer and it is my pleasure to honor them with a Rawlings Gold Glove Award®," said Minor League Baseball President & CEO Pat O'Conner. "These players displayed extraordinary skills at their positions this season, and on behalf of Minor League Baseball, I congratulate them on this outstanding accomplishment." First baseman Matt Skole posted a .999 fielding percentage in 97 games with Syracuse. A sixth-year pro out of Georgia Tech University, Skole made only one error in 874 chances at first base. Skole, 27, was selected by Washington in the fifth round of the 2011 First-Year Player Draft. Birmingham second baseman Joey DeMichele is the only repeat winner from 2015, as he registered a .990 fielding percentage in 122 games for the Barons in 2016. The fifth-year pro out of Arizona State University recorded 579 total chances and was a part of 88 double plays. DeMichele, 25, was selected by the White Sox in the third round of the 2012 First-Year Player Draft. 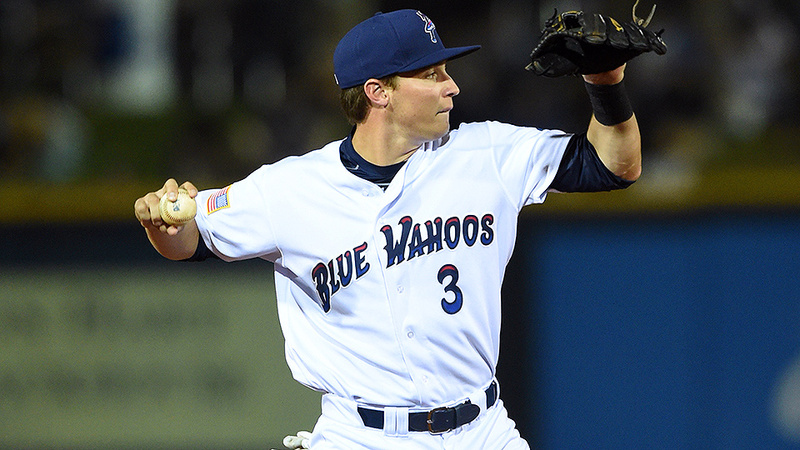 Pensacola shortstop Zach Vincej recorded a .991 fielding percentage in 105 games for the Blue Wahoos. Vincej, 25, who had 423 total chances and turned 54 double plays, was the only shortstop with a fielding percentage north of .985. Vincej was selected by Cincinnati in the 37th round of the 2012 First-Year Player Draft out of Pepperdine University. Reno third baseman Carlos Rivero posted a .987 fielding percentage in 110 games at the hot corner for the Aces. Rivero made just two fielding errors in 234 chances. Rivero, 28, was originally signed by the Cleveland Indians as an international free agent on May 30, 2005 out of Barquisimeto, Venezuela. Myrtle Beach left fielder Charcer Burks recorded a .991 fielding percentage in 104 games for the Pelicans. The fourth-year pro had 214 chances and recorded seven assists. Burks, 21, was a ninth round pick of the Cubs in the 2013 First-Year Player draft out of William B. Travis High School in Richmond, Texas. Akron RubberDucks center fielder Greg Allen recorded a .994 fielding percentage in 128 games as he made two errors in 332 chances. Allen, who split the season between Class-A Lynchburg and Double-A Akron, also posted a career-high 15 outfield assists. Allen, 23, was selected by Cleveland in the sixth round of the 2014 First-Year Player Draft out of San Diego State University. Right fielder Mike Gerber split the season between Class-A Lakeland and Double-A Erie, but was perfect in 118 games in the field, recording 251 chances and six assists without committing an error. Gerber, 24, was selected by Detroit in the 15th round of the 2014 First-Year Player Draft out of Creighton University. High Desert backstop Jose Trevino posted a .998 fielding percentage in 100 games behind the plate for the California League champion Mavericks. Trevino posted 102 assists and a whopping 950 total chances (no other catcher in the top 25 in fielding percentage had more than 780 total chances) and threw out 47 of 98 potential base stealers. Trevino, 23, was selected by Texas in the sixth round of the 2014 First-Year Player Draft out of Oral Roberts University. Pitcher James Naile posted a perfect fielding percentage on 48 chances over 156 2/3 innings pitched in his 28 games (26 starts) for Class-A Beloit, Class-A Stockton, Double-A Midland and Triple-A Nashville. Naile, a second-year pro out of the University of Alabama-Birmingham, was Oakland's 20th round choice in the 2015 First-Year Player Draft. To be eligible to receive the Rawlings Gold Glove Award, players must have participated in one of the 10 domestic-based, full-season leagues, and shown outstanding defensive skills. The Rawlings Gold Glove Award® was re-introduced to Minor League Baseball in 2011 after an almost 50-year hiatus.